Quayside Village Hotel is not only the top party hotel in Kavos, it’s home to Europe’s biggest and best pool parties. The Baywatch, Champagne Spray and White Party are just some of the events hosted by Quayside, with the Champagne Spray Pool Party taking the top spot as the best pool party in Europe in 2018 as voted by Party Harders! The hotel is situated near the top of The Strip, just past the Beetle Bar, and is the ideal place to start a night out. Quayside Village Hotel is for the Party Harder who wants the full partying experience, and is fast on the way to becoming one of the best party hotels in all of Europe! Don’t be caught with a drink in your right hand around the pool though, the DJ will be sure you’re either necking it or completing a much worse forfeit! At the pool, which looks out onto the beach, you can find many sun loungers and beds that you can use during the day to soak up the sun. There are also pool tables, a VIP area and a 24-hour bar. 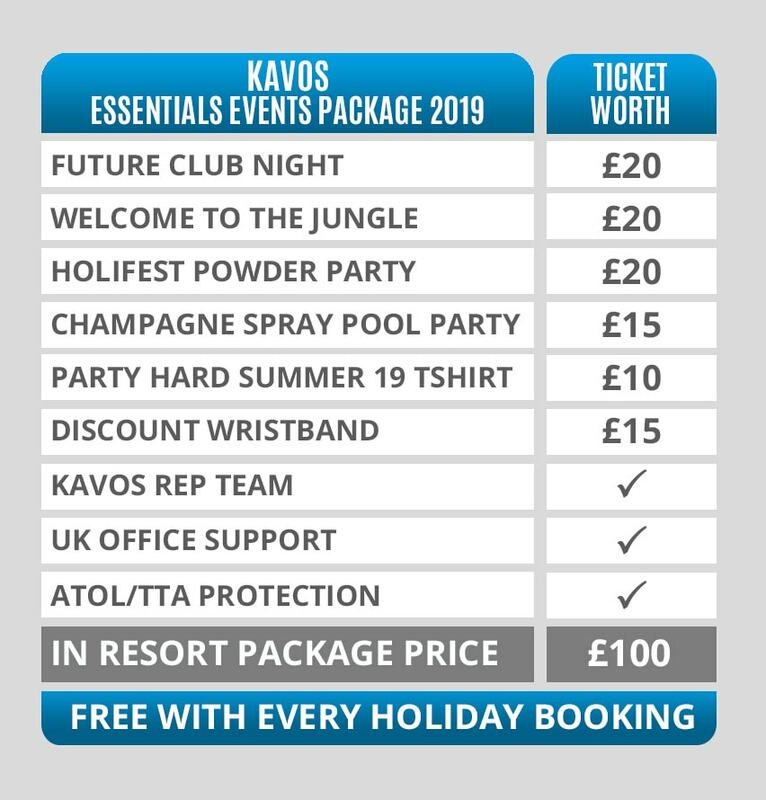 The rooms are basic and have the essentials for your clubbing holiday in Kavos. Quayside Village is the number one place to stay if you want to be in the middle of the party for your holiday! Please note, like almost all party hotels abroad, a conditional, returnable room deposit may be required on arrival (no more than €50pp).